This stylish set of three utensils is made from high grade Stainless Steel and Rosewood. 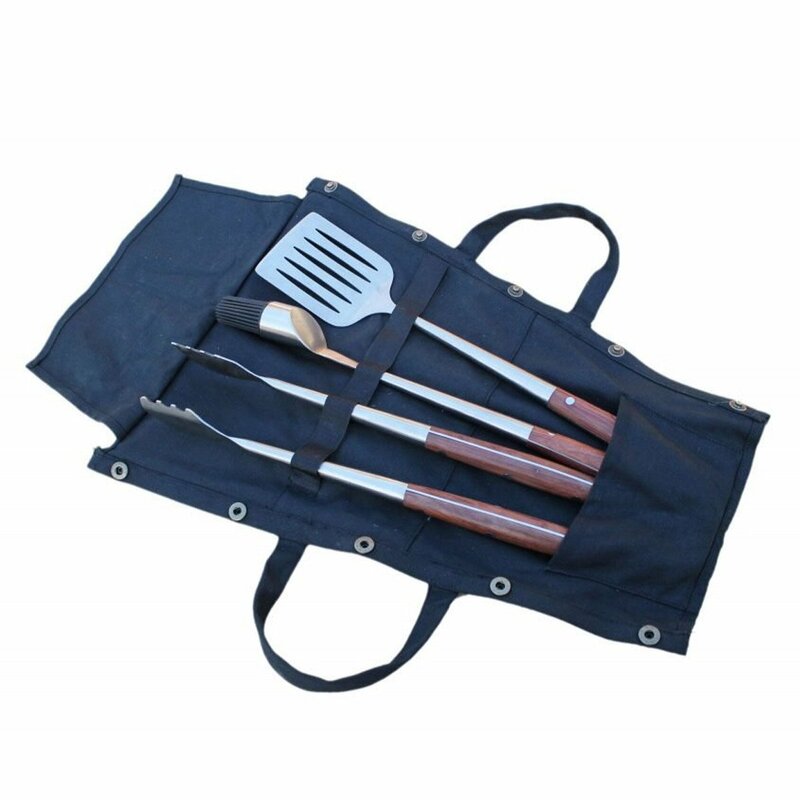 The set includes tongs, spatula and silicone oil brush within a black canvas wrap. SKU: 5060345970562. Categories: Kadai Fire Bowls & Pits, Kadai Accessories. This stylish set of three utensils is made from high grade Stainless Steel and Rosewood. The set includes tongs, spatula and silicone oil brush within a black canvas wrap. Popper buttons fasten the canvas cover which has handles for ease of carrying. Ideal for use with a Kadai Fire Bowl Barbecue.